For most of us, a ringtone is a kind of expression of our inner self. There must be a time when you are sitting around with your friends and their iPhones ring with the opening theme to Knight Rider, or the hum of the Starship Enterprise. When it comes to ringtones, Chimes and Ripple will only get you so far. Some iPhone users must be searching for a ringtone that suits them, and what can be a better choice than a song they love? As you can create playlists with your favorite songs in iTunes, it is possible to make one as your ringtone. Fortunately, we’ve got a simple guide to show you how to create Free iPhone ringtones using iTunes to make you the envy of the party. Although the process requires you to copy files and change the names of various extensions, once you get the hang of it, it’s quick and easy to create free iPhone ringtones. Just follow the steps below and it will be an easy thing to hear a mournful jazz number or the latest hit when there is a call. First, launch iTunes on your Mac and make sure that it is the latest version. Next, choose the song you want to use as the ringtone. Please be noted that iPhone ringtones only run in 30-second or less loops. Once the appropriate song has been chosen, memorize its desired start and stop times. One of the less-known features of iTunes is “cropping” songs, with which you can choose specific period. Right-click or Ctrl-click the song and select “Song Info” from the drop-down list. Next, go to “Options” tab and you will see the fields for “Start” and “Stop”. Enter the exact times you memorized. Remember to keep the period below 30 seconds’ length. Once done, click “OK”. AAC file format achieves the same audio quality as an MP3 file while taking up less space and iTunes allows you to create an AAC version of any song you choose. Once you’ve added the start and stop times and selected the short version of the song, go to “File – Convert – Convert to AAC Version”. Because we’ve changed the start and stop times for the song, when you create an AAC version, you will get a copy of that specific section of the song. And you will find the copy in your iTunes library, which is beneath the original song. 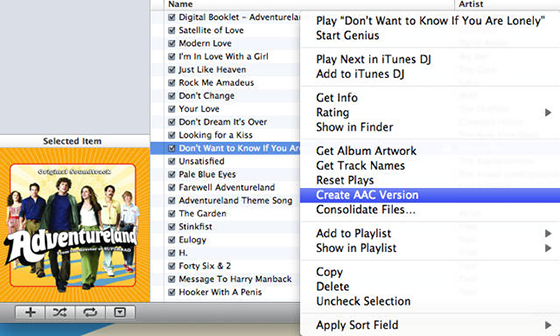 Once created, drag the AAC version of your song to the folder you desired and you will get a copy of the file. 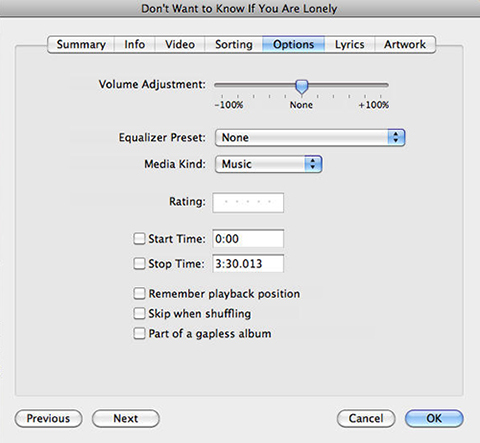 Then right-click or Ctrl-click the shortened song and select “Delete from Library – Delete File” to delete it in iTunes. The version of iTunes 12.7 removes the App Store. That’s bad news for those who like to keep backups, but good news for those who have clutter. But the update will remove all your ringtones, thus you can’t manage them from your Mac. Don’t despair. You are still allowed to download purchased ringtones and copy your tones across from the Mac. But where are those ringtones that you used to keep in iTunes? Again, don’t panic. They’re still in the same place on your Mac and they just don’t show up in iTunes. You will find the folder containing your ringtones inside the folder of “iTunes Media”. You will find it in your Music folder by default, under “/Music/iTunes/Tones”. Inside there everything is still intact. To check for purchased ringtones, head to the “Settings” on your iOS devices. Go to “Settings – Sound & Haptics”, tap on any sound and at the top of the right column, tap on Download All Purchased Tones. Your purchased tones will be restored. When you tap “Tone Store”, you can buy short snippets of songs with the same price as the full version of the song. 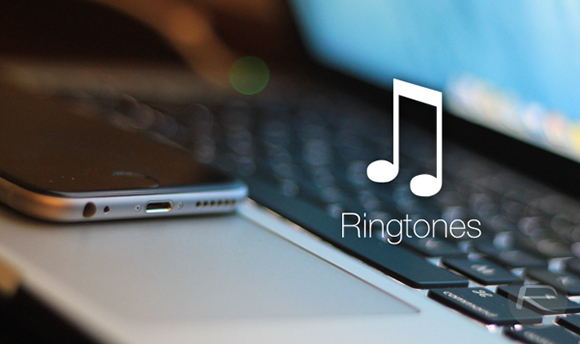 Sometimes you create ringtones not only for your iPhone, but also for other devices like Android phones. However, the ringtone created in iTunes can’t be used on other devices if you don’t resort to a conversion. 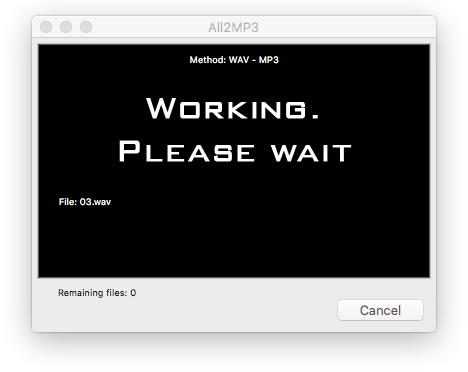 So you will need All2MP3 for Mac which is a small and fast audio converter helping you to convert all audio files to MP3 on Mac easily. Believe it or not, just take a look at the simple steps below. 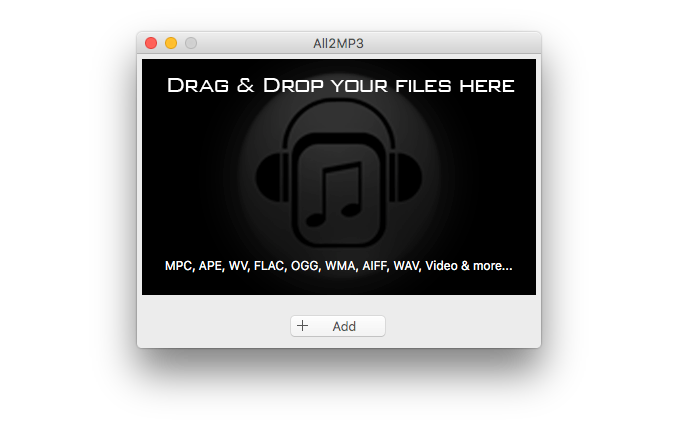 Click on the “Add” button to choose the audio files to convert or use drag & drop. Drag the slider in “Quality” section to choose a quality level. To choose a folder for saving the converted files, just click the button of “Change all Paths”. Click “Convert” to start the conversion immediately. With the above guide, we believe that you will be able to create free iPhone ringtones in a jiffy without having to resort to additional programs or pay for anything which is not built right into Mac OS.